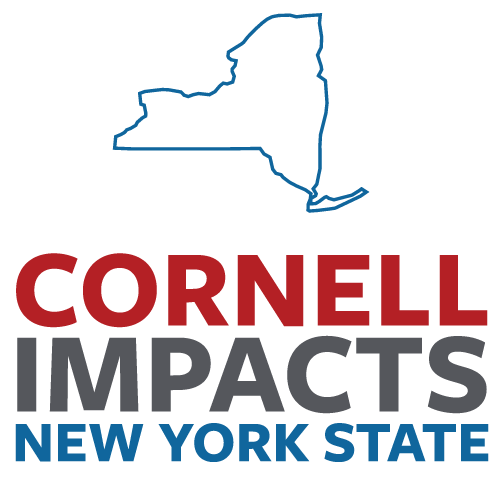 Six New York state businesses have been awarded funding to participate in the Cornell Center for Materials Research (CCMR) JumpStart Program, through which they will collaborate with Cornell faculty members to develop and improve their products. The program is supported by Empire State Development’s Division of Science, Technology and Innovation (NYSTAR), with the ultimate goals of revenue growth and job creation. JumpStart projects receive up to $5,000 in matching funds for project costs that include faculty and research staff time, facilities, services, supplies and materials. A total of 100 companies have benefited from the JumpStart program since its inception in 2005. BUPeriod (New York City) will collaborate with Fatma Baytar, assistant professor of fiber science and apparel design, to improve the menstrual pad. The team will analyze 3D body scan data to ergonomically redesign the traditional menstrual pad shape and fit. Double Helix Optics Inc. (Rochester) will work with Jonathan Shu, director of the CCMR Shared Research Facilities, on the development of photolithographic processes to enable fabrication of deep surface-relief features on optically transparent materials. Folia Water Inc. (New York City) will collaborate with Yong Joo, the BP Amoco/H. Laurance Fuller Professor in chemical engineering, on the development of a process for determining the loading of nanoparticles on an inexpensive point of use paper filter for removing bacteria from drinking water. Invigor Products LLC. (New York City) will work with the Brooklyn Fashion + Design Accelerator on the development of a prototype therapeutic towel for sensitive skin. BFDA is a NY City CCMR partner and an expert in garment prototyping, production and marketing. Kintra Fibers Inc. (Brooklyn) will collaborate with Anil Netravali, the Jean and Douglas McLean Professor in Fiber Science and Apparel Design, to produce monofilament fibers from synthetic biodegradable polymers for textile applications. Rigidized Metals Corp. (Buffalo) will collaborate with Shefford Baker, associate professor of materials science and engineering, to study micro-textured stainless-steel surfaces in an effort to improve the hydrophobicity of the surface. NYSTAR supports collaborative industry/academic partnerships to foster integrated approaches for developing and commercializing innovative technologies and serves as a resource for small and startup technology companies. CCMR is a National Science Foundation- and New York state-funded interdisciplinary research center at Cornell. Its mission is to advance, explore and exploit the forefront of the science and engineering of advanced materials.